Each year Google releases a list of the most searched trends in the different sectors. With January coming to a close I decided to check out the beauty trends for 2018 to see if I could guess what piqued peoples interests. Some of the questions were expected while others left me nonplussed. Why would someone need to know how to glue down their eyebrows? Anyway, I digress. So to share the knowledge I have on skincare and beauty I will attempt to correctly answer the google stop 10 beauty questions of 2018. In areas where I think a video will be helpful, I will link to the best rated or most watched video in that arena. This is such a deep question and cannot be fully answered in a snippet. I would need to know, your skin types, skin tone and undertone as well as which part of your face you intend to use the concealer? I would not recommend the same concealer for under eye to cover blemishes or spots because their consistencies tend to be different. However, if you are in a jam and need to pick one concealer, here are a few that are great multitaskers. Cakey makeup starts way before you have applied your foundation and one way to avoid it so you don’t have to ‘’fix’’ it later is to ensure you moisturize and apply primer before your foundation. 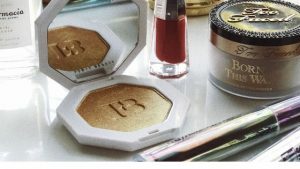 In addition, blot before you add other products on top of your foundation, also make sure to use a translucent powder instead of a tinted one to set your makeup. If the cakey-ness has already happened try to lightly brush off excess product using a makeup brush. Once that is done spray my whole face with a makeup spray or face mist. This helps to remove most if not all of the cakey-ness. This confused me a bit as I was not quite sure what the intention behind the question was? My response would be, buy Aloe Vera gel, squirt a bit into your palms and apply to wash face for hydration. I don’t use the gel from the Aloe Vera plant directly it is too much work but if you are keen to try here is a link that teaches you how. This is easy, read my post on double cleansing and what products to use. If you are not keen on reading it (which you should!) you can use an oil or a balm cleanser to remove your make up. Just rub on your skin making sure to massage it properly, it will dissolve the makeup and dirt. Most oil based cleanser emulsify when water is added so can easily wash off you can then follow up with a water-based cleanser. Oh the cat eye, the slayer of dragons. I cannot tell you how many videos I have watched to be able to do a proper cat eye and it iffy.it iffy. Some days when the moon is in the right position it is all well while other days ………. However learning to do a proper cat eye is well worth it, because it I able to elevate any look and can be as bold or as minimal as you like. The first step in doing a great cat eye starts with your eyeliner, especially if you are not very skilled. So choose a good one, personally, I like felt tipped liners if I am using an eyeliner pencil otherwise I like a good old gel liner, with a great brush? Them the sky is the limit. I have included some of my favourites. 4. What Hair Colour Looks Best On Me? This floored me a little bit and my first reaction was heck I don’t know! But I thought that is no, that is not helpful at all but it is not my forte. So my suggestion would be to consult a hair stylist who can offer suggestions based on your skin tone, undertones as well as your work life. I am sure that if you are a banker or working with the government showing up with pink or green hair will be frowned on. This depends on one factor do you want to use the lashes again or are you done with them? If you are done with them then removing individual lashes is pretty easy. Soak and cotton pa with an oil-based makeup remover and place on your lash line to soften the glue. Wait for 30 seconds and the lashes should come off. Koh Gen Do Cleansing Spa Water, $52. 2. 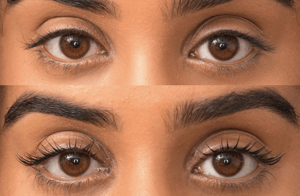 What Is A Lash Lift? Basically, a lash lift is a process where your lashes are ‘’permed’’ and then moulded into the shape you want. It processes your lashes and moulds them into a shape much like you would do using a lash curler, the only difference is that this is permanent. You will need to consult with your technician on the goals and the style you would prefer i.e. do you want your lashes pointing upwards or more fanned out. This determines the size and curls used by the technician. So what are magnetic lashes? These are lashes that have small magnets attached to the centre, so basically you have a strip of lashes which you place above your lash line. 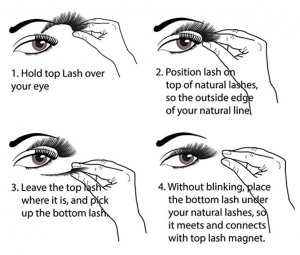 Then a place the second strip at the bottom of your lash line and the two magnets click together keeping them in place. From what I can read online and the video I have watched applying them is a bit difficult and will take some skill and practice, much like applying regular lashes or putting in your contacts. I hope you enjoyed my answers for Google’s top 10 questions of 2018. What do you think ? are these questions you had over the past year ? Let me know in the comments below, subscribe and follow me on social media for more tips. Previous Post How many times do you need to pick the wrong foundation before you read this?